The Roosevelt is king of the hill when it comes to local wine because its list is all Virginia, all the time. From a bubbly beginning of Thibuad-Jannison Virginia Fizz to some of the most highly praised boutique wineries, such as RdV Vineyards, Gabriele Rausse Winery and Linden Vineyards, you can make a grand tour of the state of Virginia's winemaking without ever leaving your seat. 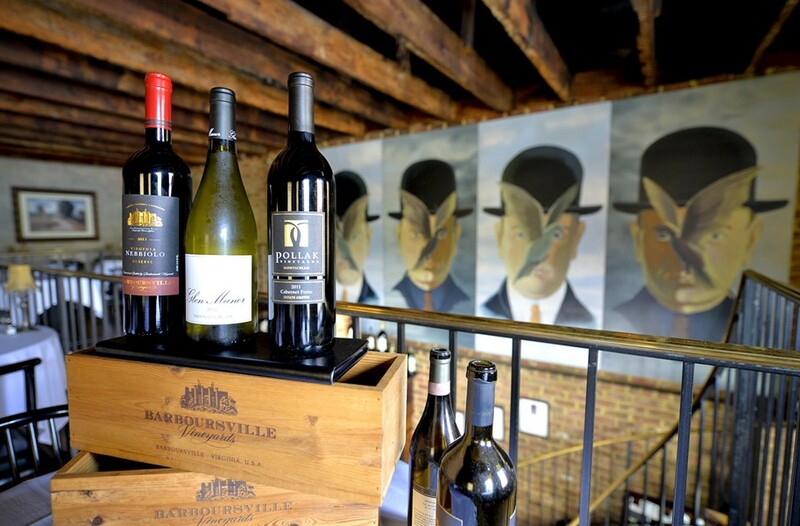 Honored with the Wine Spectator award of excellence multiple times, Julep's pulls from some of the best vineyards in Virginia — Barren Ridge, Jefferson, Rosemont and Pollak — with entire sections of the wine list devoted solely to Virginia. Perhaps most impressive to wine geeks is its vertical representation of Barboursville's Bordeaux-style red, Octagon, considered one of the premiere red wines on the East Coast and worthy of the cru classification. Occasion-worthy in taste and cost, it'll make you proud to call the Commonwealth home. Perhaps the last place you'd expect to find a good representation of Virginia wines, this is more impressive because it's a mall restaurant. The Virginia wines were chosen with an eye to pairing with spicy food, so stellar whites are from Cooper Vineyards, Rappahannock Cellars and Horton Vineyards. Consider starting your magic carpet ride to India with a nose of rose petals, courtesy of Trump Winery Kluge Estate Brut sparkling rose, a salmon-colored bubbly not often seen on wine lists.